Dwell on Design 2018 just ended, and we’ve had a chance to decompress to share our thoughts on all of the amazing new trends we saw. 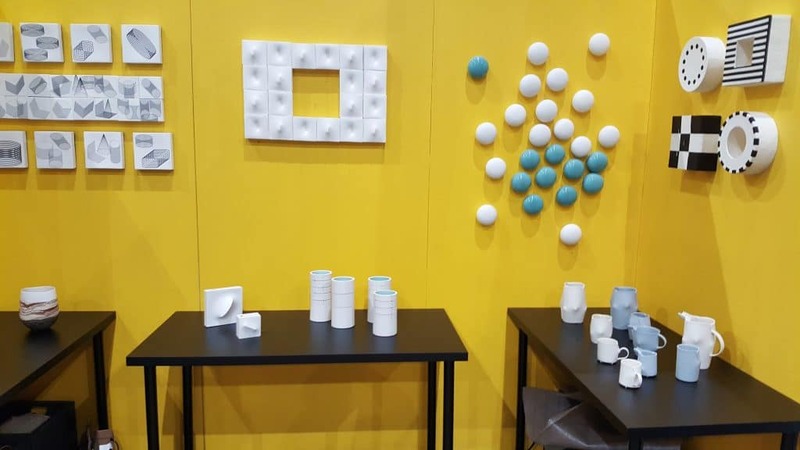 If you’re not familiar, DOD is an industry show for designers, architects, retailers, and plain old design enthusiasts looking to keep up with modern design. 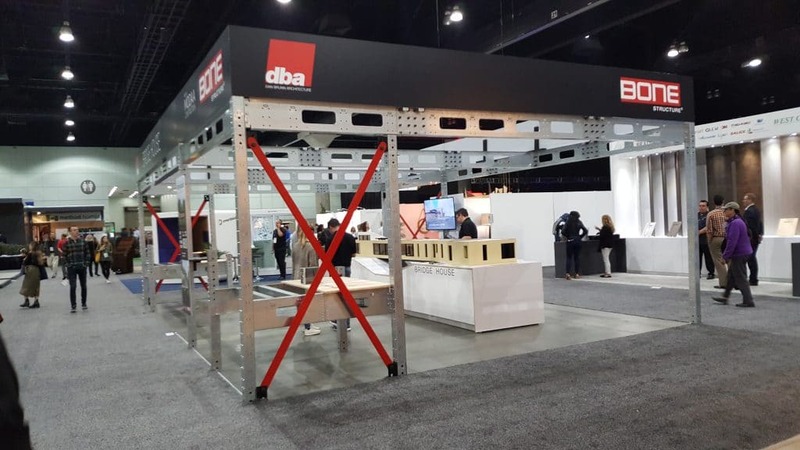 We also saw a lot of design students present; exhibitors were clearly prepared for that growing segment of attendees, as UCLA had a large booth promoting their architecture program. We love to see all of the subtle or big shifts in home decor and stay abreast of the cutting edge in order to keep our designs for your kitchens great. 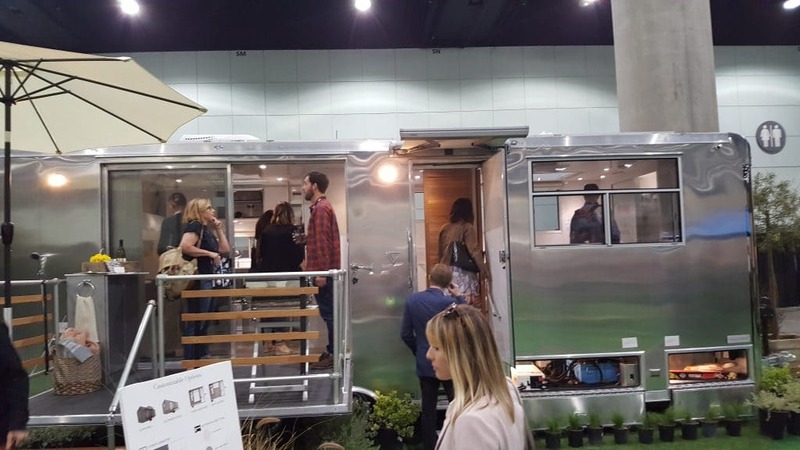 We attended and checked out everything, from interior to exterior trends. Have a look through our pictorial tour below to see it all through our eyes! Home remodels and design are an all-inclusive study. Knowing how designers are advancing outdoor aesthetics remains relevant to interior mockups, since transitions need to remain smooth and the overall appeal should be consistent. 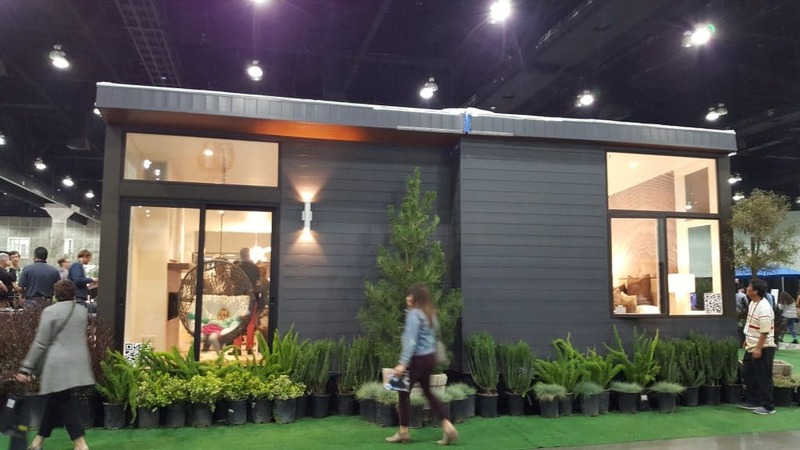 Happily, there were a significant number of displays and exhibits covering cool new shifts in modern design for home exteriors at DOD. Brown Jordan Outdoor Kitchens manufactures stainless steel flat panel cabinets in a wide array of colors, wood grains, and a large variety of door styles. With such a large variety of options available, they leave designers terrific freedom in creating unique outdoor living areas for their clients. Stainless steel allows them to marry beauty with reliable material that will endure the elements. 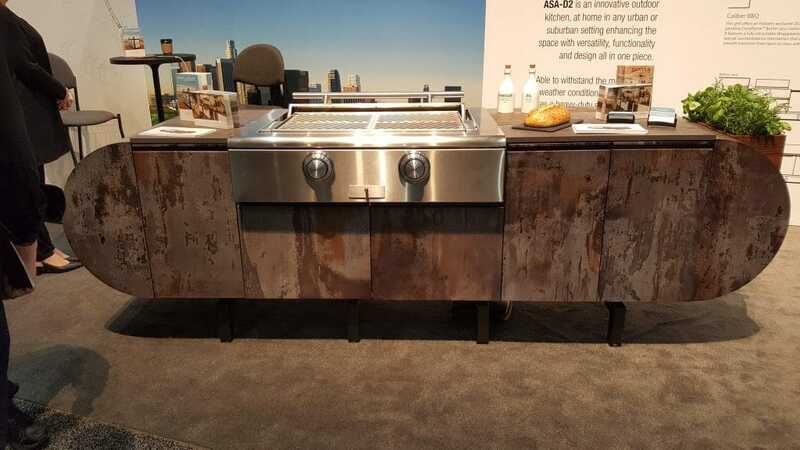 We got to see their new showcase at Dwell on Design this year, their ASA-D2 outdoor kitchen model. Designed by Daniel Germani, this innovative design looked like it would be right at home in any modern outdoor kitchen space. The piece is available in four visual variants: grey, black, marble, and industrial metal. 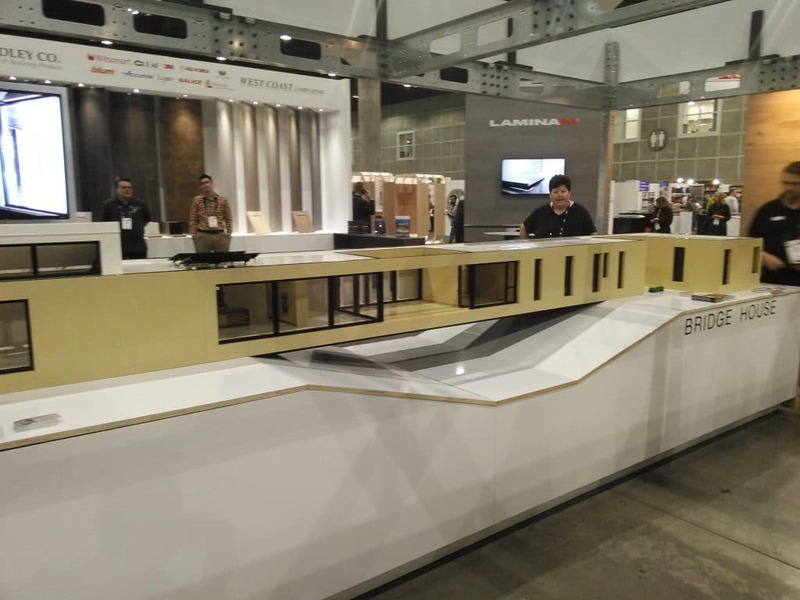 Centrally located on the Dwell on Design exhibit floor, the BONE Structure exhibit was an exotic display to say the least. They were present to show off a very specific project coming to fruition in summer 2018: the Bridge House, a cooperative architectural feat with Dan Brunn Architecture and MODAA Construction. Exemplifying architect Dan Brunn’s minimalist aesthetic and dynamic spatial choreography of light and volume, the Bridge House was conceived as a laboratory for contemporary building and living. Everywhere we went on the show floor, it seemed like you couldn’t turn your head without seeing one of the HC1 models from Happier Camper. 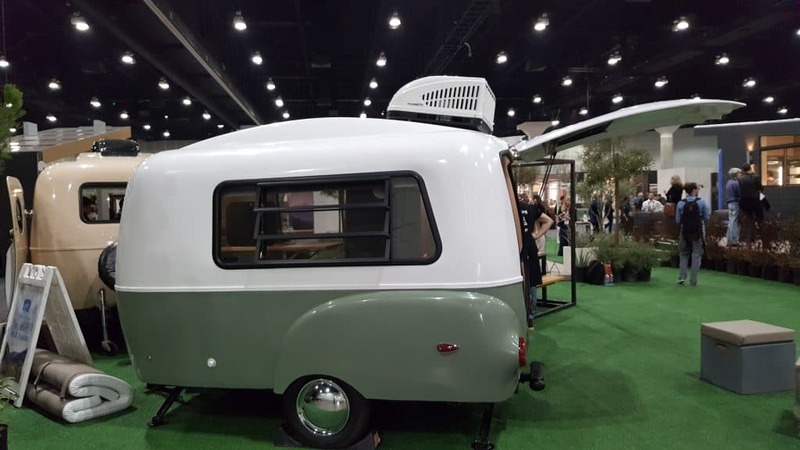 Modeled after vintage fiberglass trailers that one used to observe dotting the US interstates in the 50s and 60s, this camper unit is also stuffed with modern functionality. 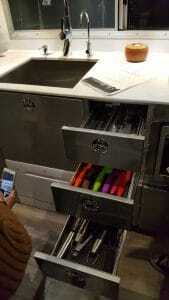 Since we’re so fond of multifunctional cabinets, we loved the interior of the HC1. 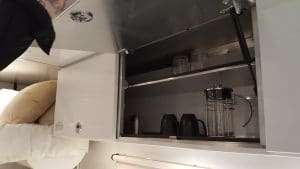 They provide various options for the built-in kitchenette, with various setups available. It has multiple storage areas, with the “adaptive” interior providing for strong customizability. Looming at the rear of the exhibit hall was a tantalizing modern dwelling we had to explore. 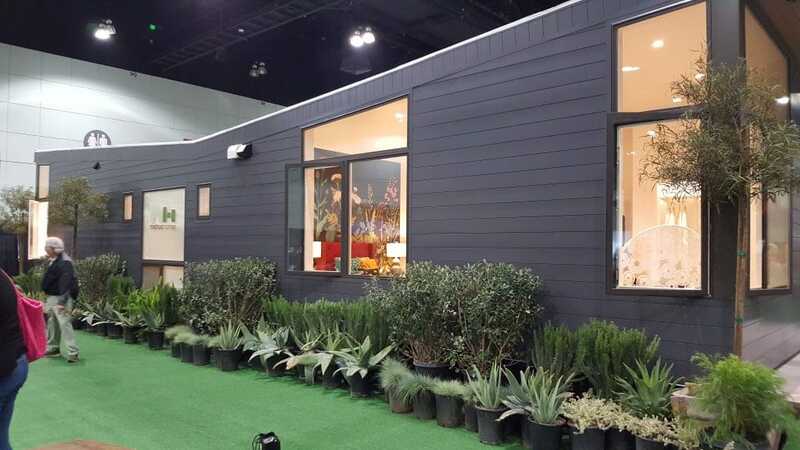 The demo modular home was sleek beyond belief and touted as a precision-engineered testament to customizable living. Method Homes custom manufactures homes, commercial structures, and accessory dwelling units. The Option Series model from Method Homes is a collaboration project with Grouparchitect. It is intended to represent a line of highly adaptable, efficient and livable home units. The floor plans, roof styles, finishes, and sustainable upgrades are all customizable. 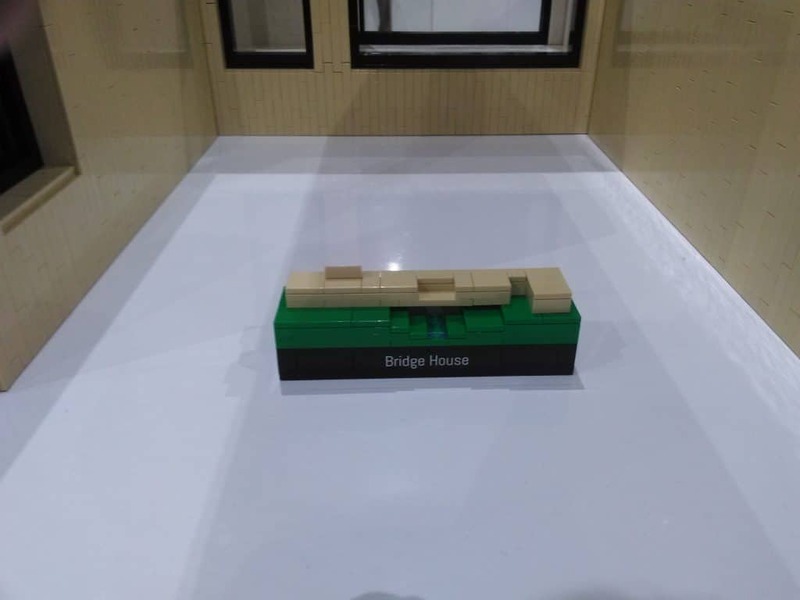 While the Option Series that we saw at the show was a single floor model, this comes in up to a 3-story option. 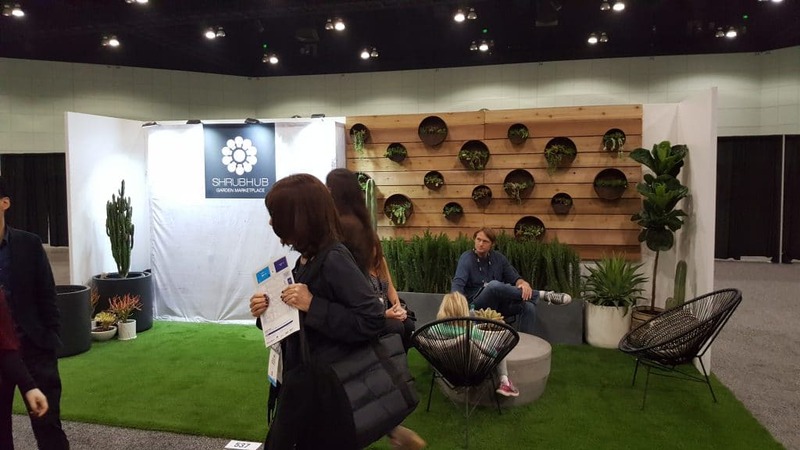 We found a nice little landscaping design consultancy called ShrubHub in a quiet corner of the exhibit hall. Outside of the confines of DOD, they help you to design as well as order products for your front and backyard spaces. At the show, they were providing free consultations to attendees. Living Vehicle was without a doubt our favorite part of the show. 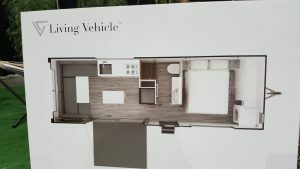 Designer Matthew Hoffman took the RV lifestyle and gave it a modern spin with a focus on accessibility. 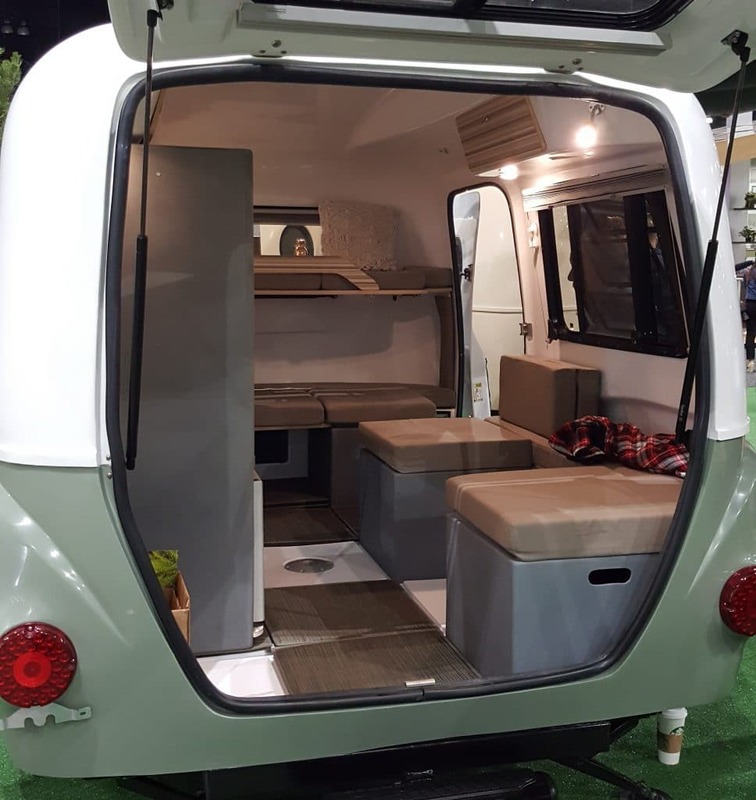 Including comfortable sleeping for six and a modular interior providing on-the-fly redesign based on use, it really is a one-of-a-kind product. The interiors were painstakingly designed to maximize comfort while delivering a “complete home” experience. Flat panel drawers with recessed ring pulls, sliding panels, and removable islands all contribute to a shifting internal landscape to suit your needs. There was so much to see that we’re sure to be leaving some other neat things out–but these were by far the most compelling! Thanks for following along this far to see some of these amazing design trends. We’ll be sure to keep you posted about other local crafts industry shows we attend.